Nice job, all-around, by the boys last night. 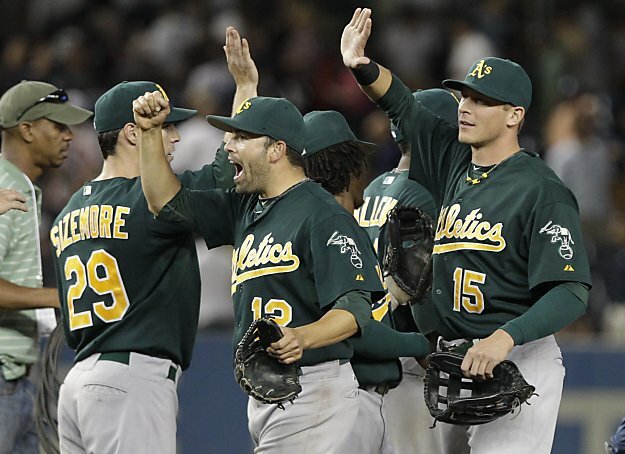 The A's beat the Yankees 6-5. Brandon McCarthy pitched a superb game. McCarthy went 7 2/3 innings, gave up 8 hits, 3 runs, 3 walks and added 6 Ks. His record, now, sits at 7-6. Since the All-Star break he is 6-1 in 8 starts. The A's went DEEP 3 times - Eric Sogard homered and Brandon Allen hit two dingers. Scotty Sizemore came in to pinch hit in the 7th inning and doubled-in 2 runs. 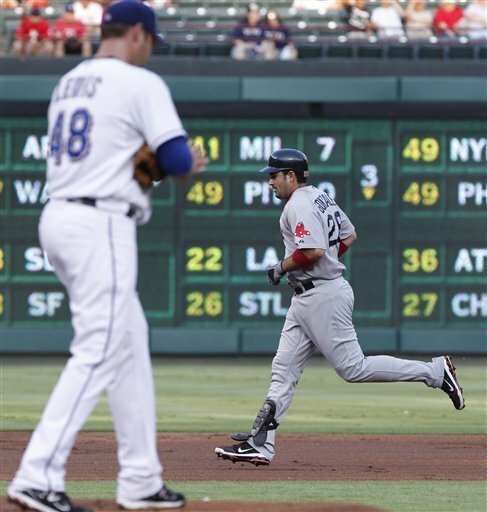 The Red Sox beat the Texas Rangers 11-5. Adrian Gonzalez just came back after missing 3 games because he was nailed in the back by a pitch. Gonzalez is hitting .348 with 20 homers and 97 RBIs. The Red Sox and Yankees are tied atop the AL East. Jim Leyland was working with a shortened bullpen on Tuesday night. The Tigers' skipper gave Joaquin Benoit and Jose Valverde the night off. Starter Brad Penny left, in the bottom of the 7th, with a 2-1 lead. 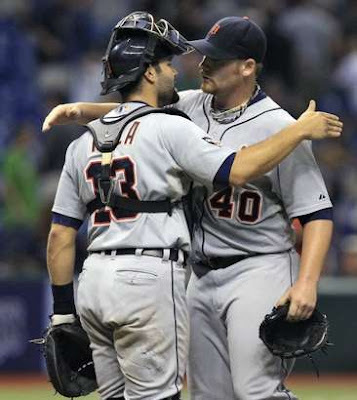 Leyland brought in Daniel Schlereth, Ryan Perry and Phil Coke to preserve the win. Coke earned his first save, pitching the final 2 innings, he allowed 2 hits, 2 walks and fired 5 strikeouts. Alex Avila continued his hot batting, going 2-for-4 with an RBI. Detroit holds a 6-game lead in the AL Central.